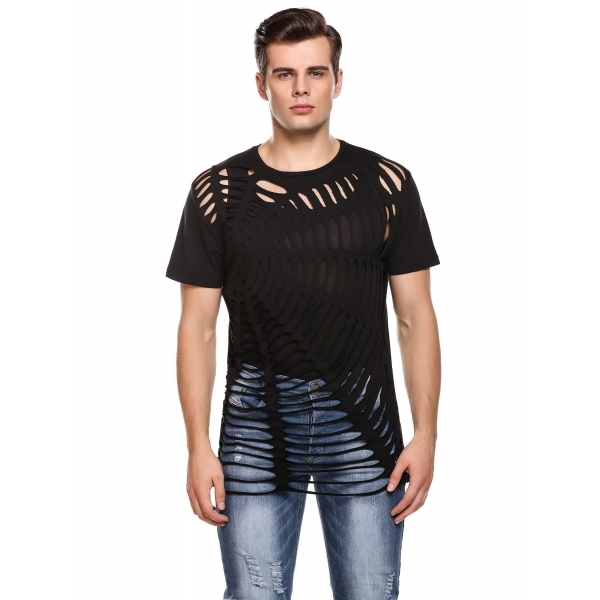 Men casual o-neck short sleeve basic t-shirt. Hollow out design, solid color. Suit for casual or sport wear.